2007-2018 GM/Chevy 1500 (New Body) 6-LUG 2WD/4WD. Front 2.0" Leveling Kit. The Rugged Off Road™ GM 1500 2 inch lower strut mount Leveling Kit will lift the front of your 2007-2018 Chevy Silverado 1500 pickup to allow for larger wheels and tires. Provides a leveled stance. CNC Machined from billet aluminum and designed to install on the bottom of the factory strut. No cutting bolts. Easy to install in just an hour. 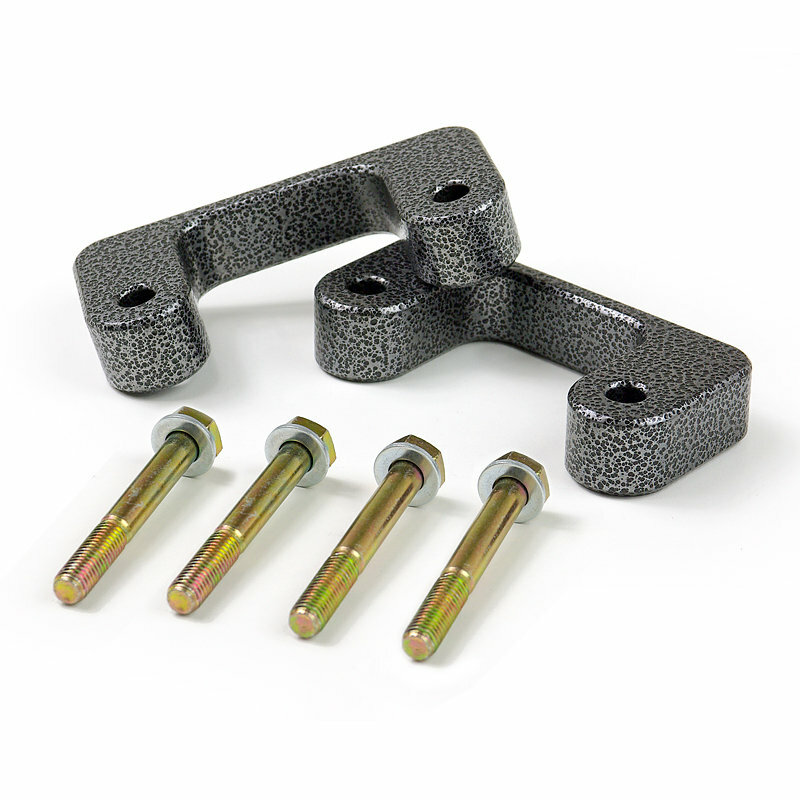 Features a rugged hammertone powdercoated finish suitable for the harshest conditions.